With over 467 million users, LinkedIn is the #1 hub for professional online networking. The networking site is in the unique position of having data on millions of professionals, and they use this coveted information to solicit upgrades. It's privileged knowledge to have access to job information, like interested recruiters, or companies that statistically would be a great fit, but that data is hard to come by outside LinkedIn. The data offered in a Premium upgrade is information that only LinkedIn can give a user. 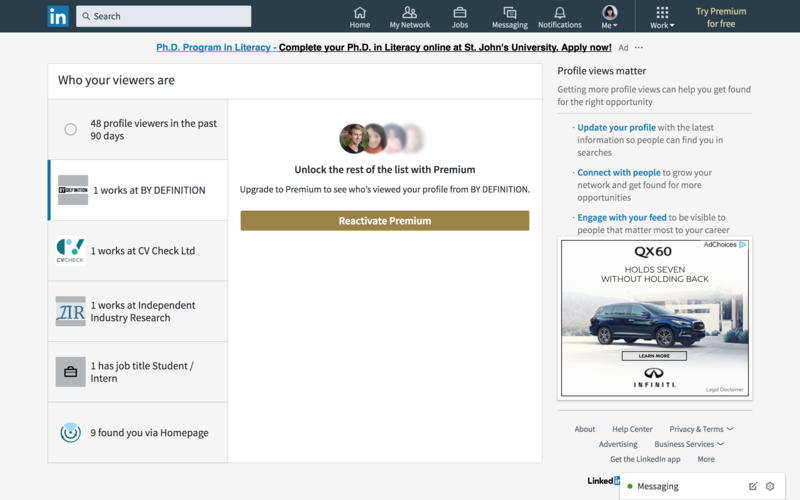 As users navigate the site, LinkedIn cleverly teases out hints of valuable information, promising to grant access to a wealth of knowledge and information with an upgrade. 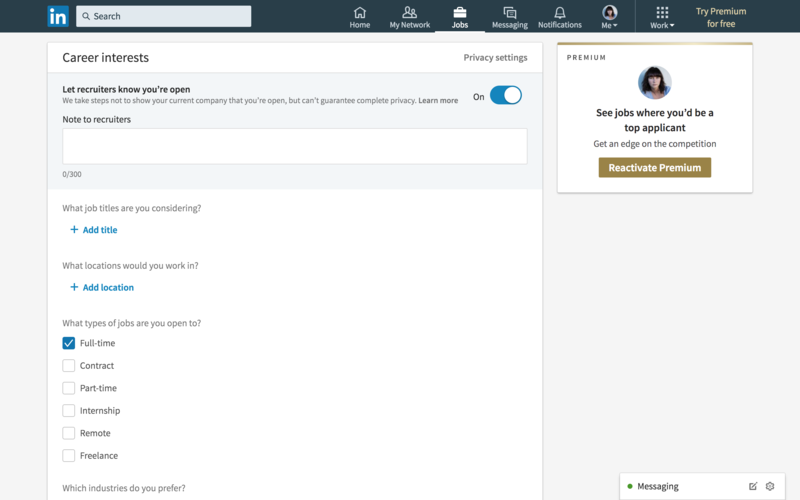 Upgrade prompts can easily become intrusive, but LinkedIn does an excellent job at showing the value of an upgrade in context, so they don't seem pushy. 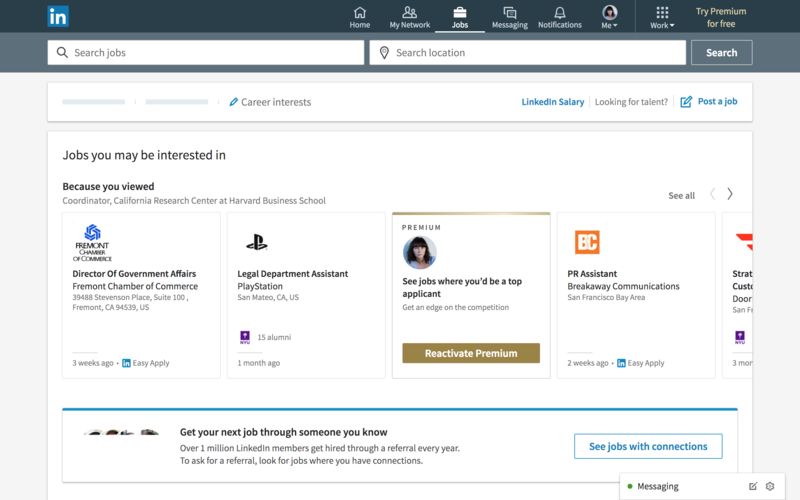 For example, parsing through thousands of open positions at companies can seem daunting, which is why LinkedIn promises to show you your top matches—with an upgrade that is. Moreover, the anonymity of certain notifications, like the identities of “Who your viewers are,” plays into the discomfort humans naturally feel when they are uncertain about the answer to something. This subtle psychological trick can peak users' curiosity to the point of upgrading. The placement and color scheme of the upgrade boxes seamlessly fit in the organization of each page, allowing users to easily ignore them if they are content with their free account.